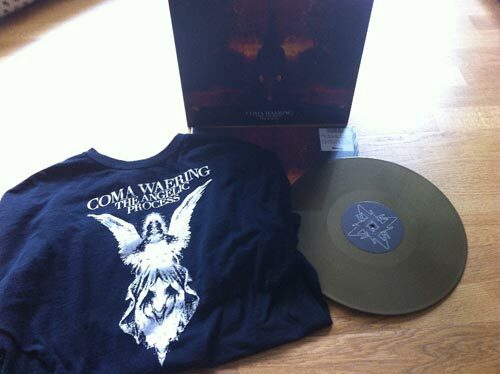 Burning World Records is proud to present it’s newest vinyl release: THE ANGELIC PROCESS’ masterpiece Coma Waering. 500 copies have been pressed up, 100 on gold vinyl including an optional T-shirt and 400 copies on old fashioned black vinyl. Get them while you can! And while your at it, check what their Weighing Souls With Sand by THE ANGELIC PROCESS does on Ebay nowadays and you’ll know you’ll want this while you can still get it for a reasonable price! 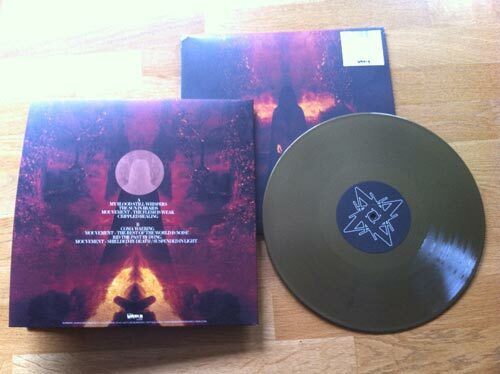 If you want to take a closer look at the vinyl check out the pictures below, not very high quality as they come from an iPhone but still, you’ll get the idea. Check out all version of the release (cd, black vinyl, gold vinyl, gold vinyl + shirt) out in the Burning World Records webshop HERE.